The Vietnam Veteran’s Memorial (aka The Wall), located in Washington, D.C., lists more than 58,000 names. Approximately 1,200 of these are listed as missing (MIAs, POWs, and others). I would venture to say that the vast majority of those soldiers each left behind scores of family members and friends who will be remembering them this Memorial Day. Today I’d like to recognize the ultimate sacrifice of one of those soldiers: James Robert (Bob) Kalsu. Bob was born in Oklahoma City, OK on April 13, 1945. An All-American offensive lineman at the University of Oklahoma in 1967, Bob was an eighth round draft pick by the Buffalo Bills in 1968. After a stellar rookie season, Bob put his pro football career on hold the following year to join the conflict in Vietnam. While friends pleaded with Bob to fulfill his service via the reserves, he declined. When Bob joined the ROTC while at Oklahoma, he gave his word that he would fulfill his military commitment via active duty. Bob would leave for Vietnam in late 1969. Soon after he left, Bob’s wife Jan learned she was pregnant with their second child. In May of 1970, Bob was on one-week leave in Hawaii with Jan (who was seven months pregnant by this time) and 18-month old daughter Jill. 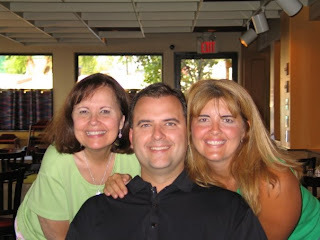 Sadly, it would be the last time the entire family would be together. The feeling had gone out of everything. It was like we were zombies. You didn't care anymore. July was terrible. The [North Vietnamese] whacked Ripcord, that hill we were on, with mortars and rocket fire. Day after day, night after night. I was getting shell-shocked. I didn't care if I got out. At night you could hear the [enemy] yelling from the jungles all around, "GI die tonight! GI die tonight!" This was our deathbed. We thought we were going to be overrun. 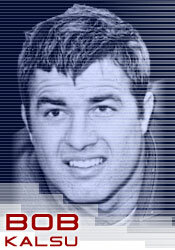 On July 21, 1970, James Robert Kalsu became the first active professional athlete to die in combat in Vietnam. Two days later, Jan gave birth to a boy named Robert Todd Kalsu. Sadly, Bob did not live to find out he indeed had a son. In less than 24 hours after giving birth, Jan learned of Bob being killed. She immediately left the hospital, but not before renaming her son. Jan recalled the silent prayer she conveyed to God prior to Bob leaving for Vietnam. ”If you need him more than I do, please give me a son to carry on his name.” Thus Bob and Jan’s only son became James Robert Kalsu, Jr. In December 2004, my wife and I took a trip to Washington, D.C. One of the many stops on our three-day excursion was a visit to the Vietnam Veterans Memorial. Still moved by Kalsu’s heroics, I decided to locate his identification on “The Wall” and trace his etched name. I still have the etching tucked away in the aforementioned Sports Illustrated issue which featured Bob on the cover. Upon returning from my trip to Washington, I felt the urge to contact someone in the Kalsu family. Since sports and American history are two passions of mine, I had to let them know how much Bob’s story moved me. I was able to locate Bob’s daughter, Jill Kalsu Horning. She was gracious enough to send a reply. It was such a wonderful surprise to receive your letter. You made my day! Usually it is my mom or my brother who are contacted about my daddy. My feelings always get hurt. I always feel left out so I feel very touched. I read your letter to my mom and my brother. They thought it was very beautiful. I can't tell you how amazed we are by how many people are touched by the life of my dad. He truly impacted so many people by how he lived his life. Now after he has gone to be with our Lord, so many more are touched by his life. A day doesn't go by when I don't think about my dad and how much I miss him. Now that I have my own children, I miss the fact that my children don't have a grandpa. I don't ask "why?" 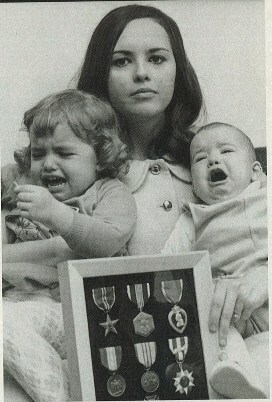 anymore because I know that my daddy did what was right and fulfilled his duty to his country. While doing this, he had such an impact on many soldier's lives. There are no accidents with God. I am so into American history and sports too. I always say that if I had not become a teacher, I would have loved to have been a political science major. I am so glad that you and your wife were able to go to the Vietnam Wall. The experience there can not be put into words. I have only been to D.C. one time, and it was only for about 5 hours. My experience at The Wall is hard to put into words. I hope to one day go with my husband and children to spend more time there and also to see the many other sights there. I pray that God will bless you and your family always. Thank you so much for taking the time to write me. Nearly four decades after Bob’s death, his two children are doing beautifully. Jill and her husband live in Colorado, raising their five children. And Bob, Jr. is an attorney in Oklahoma where he resides with his wife and four kids. On this Memorial Day, we pay tribute to those who have lost their lives defending this nation’s freedoms. But there are also family members (like the Kalsus) who have paid a significant price also. They too should be honored on this special day. What's say we elect Obama President. "NEVER AGAIN!" Who's gonna tell you things....aren't so great? I consider myself a civil guy. In this era where ad hominem attacks are all too common amongst political adversaries, I make it a point to not get caught up in all that vitriol. That is why I waited a while to fisk President Obama's comments made at a recent fundraiser for Sen. Barbara Boxer (D-CA). I actually heard the audio of these remarks where the President sounded as disingenuous and condescending as ever. And it enraged me to the point where I felt the peptic acid rise in the pit of my stomach. But as I got further away from the emotions of my initial reaction, I realized how utterly detached the President is from reality. When I look at it that way, I actually feel pity for the man. Now, California, the last thing I said to my Republican colleagues was you don't even have to meet me halfway. I'll bring most Democrats on these issues. And the Democrats you can't get (i.e. Rep. Stupak, Sen. Nelson, etc.) will be offered bribes "deals" in order to secure their vote. I mean, it’s just -- you know, I understand the strategy of sitting on the sidelines. And let’s face it. Politically, it hasn’t been bad for (the GOP). It made a lot of people forget how we got into this mess in the first place, just sitting there and saying no to everything. Saying no to policies that could potentially bankrupt this country and turn us into Greece of the west?!?! The audacity of these people!!! Well, Barbara points out, I’ve said this before, you know, folks -- here you got folks driving a car in the ditch, and then we’re out there in the mud pulling the car out of the ditch, and they're sitting there comfortable, drinking on a Slurpee or something saying, you know, you’re not pulling the car out of the ditch fast enough. You’re not doing that the right way. When you put your shoulder behind, you got to lean into it. So then we finally get the car out of the ditch, and they want the keys back. Yes, but by the time "they" (Republicans, that is) get the keys back, they get a car where the axle was broken off, the transmission dropped and the engine blown up. And it is readily apparent that the "they" will get the car back in much worse condition than "being in a ditch." Say, no, you can’t have the keys. You can’t -- you don’t know how to drive. You can’t have the keys. Can’t have them. If you want to get in, we’ll give you a ride. But we’re not going to let you drive. With all due respect, you vacuous bobblehead Sir, you don't get to decide who drives the car. In fact, your selection of "drivers" lately has been met with much resistance from those who actually make the decisions. That would be the voters. So you go ahead and have your fun with your clever analogies and keep shirking responsibility for anything that goes awry in your administration. As you'll find out in November, the American people prefer to drive down the right way of a One Way street. It was no shock that Sen. Arlen Specter (D-PA) was ousted in last week's Senatorial primary. But who knew he was the White House's Democrat of choice for November's general election? Well that was indeed the case if you believe Joe Sestak. Sestak, a former Navy vice admiral who defeated Specter in the Democratic Senate primary last week, months ago said that the White House offered him a job to stay out of the race. Sestak refused to bow out then, and still refuses to say now what job was offered. "I was offered a job. I answered that," he said on NBC's "Meet the Press. "Anybody else has to decide for themselves what to say upon their role. And that's their responsibility." It's highly unlikely that any mainstream media outlets will continue to press the Obama administration on this matter, especially since there is no possibility of Karl Rove being frogmarched out of the White House. But the intriguing question is why would the Obama administration prefer Specter over Sestak? As a member of the U.S. House, Sestak was pretty much in lockstep with Obama, Pelosi, et al on such issues as TARP, partial-birth abortion, health care, etc. Is it possible that Sestak merely fabricated the whole thing because the Obama administration endorsed Specter? I guess. But that seems rather far fetched given that Sestak made these claims after he secured the Democratic nomination for Senator. So what benefit would he possibly receive for doing such a thing? I'd like to think we'd be given a suitable explanation for this. Is that too much to ask of the most transparent Presidency in recent history? In 1991, at the age of 25, Bloomington, MN native Steve Rushin became the youngest Senior Writer on the Sports Illustrated staff. This was after having been with the magazine all of three years. He spent the final nine years (1998-2007) of his S.I. career penning a weekly column entitled Air & Space. I was bummed when I learned that Rushin would be leaving the magazine. It was because of him I subscribed to S.I. again in the early 2000s. Then a fortuitous concatenation of events led me to cross paths with Mike McCollow, who happened to be Steve's best friend since Kindergarten. I mentioned to Mike on several occasions that I wanted to meet Steve one day when he came back to his old stomping grounds. Thursday evening, I had that chance. 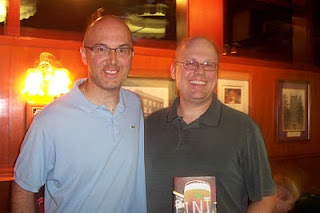 Steve was in town to promote his new novel The Pint Man, a fictional account about a 34-year old bachelor who is an unassuming lover of wordplay and television sports. Given the setting is an Irish Pub in New York, many of Steve's acquaintances surmised that certain aspects of the story are autobiographical. In fact, Steve met his wife-to-be, ESPN analyst and former NCAA basketball All-American Rebecca Lobo, at an Irish Pub in Manhattan. 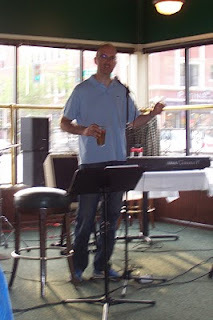 I saw Steve as soon as I walked into O'Gara's Bar & Grill Thursday evening. He seemed a little disoriented when I introduced myself and I soon learned why. After a book signing in Tulsa, OK on Wednesday, he and Mike were planning on taking a flight to Minneapolis. However, severe storms resulted in the cancellation of said flight. Their only other option appeared to be to fly to Atlanta Thursday morning and then take an afternoon flight to the Twin Cities. However, they were concerned that would have made them late to Thursday evening's event at O'Gara's. They ended up renting a car in Tulsa, driving 250 miles south to Dallas and catching a 6:00 am flight to Minneapolis. As soon as they arrived at MSP, Mike and Steve went directly to the KFAN studios for a one-hour radio interview which was to start at 11:00. So by the time the meet-n-greet (or "booze -n- schmooze" as Steve called it) began at 7:00 pm, the guys had been awake for close to 36 consecutive hours! The event started out with Steve sharing humorous accounts of the famous people he had encountered during his years of writing. He spun yarns of President Clinton offering Steve marital advice and how President Bush, who couldn't remember Steve's name, merely referred to him as "Mr. Sports Illustrated." The evening also featured some local celebs who formed a musical act. 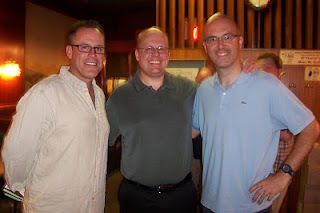 Star Tribune sports columnist Jim Souhan (guitar, vocals), AM 1500 news guy John Heidt (guitar, vocals) and WCCO radio personality Tommy Mischke (keyboard, vocals) performed upon completion of Steve's "monologue." With a gift for wordplay, Steve had some hilarious suggestions for the band's name. Given the group was comprised of middle-aged men, Steve offered up such gems as "Cialis in Chains" and "Counting Crows Feet." 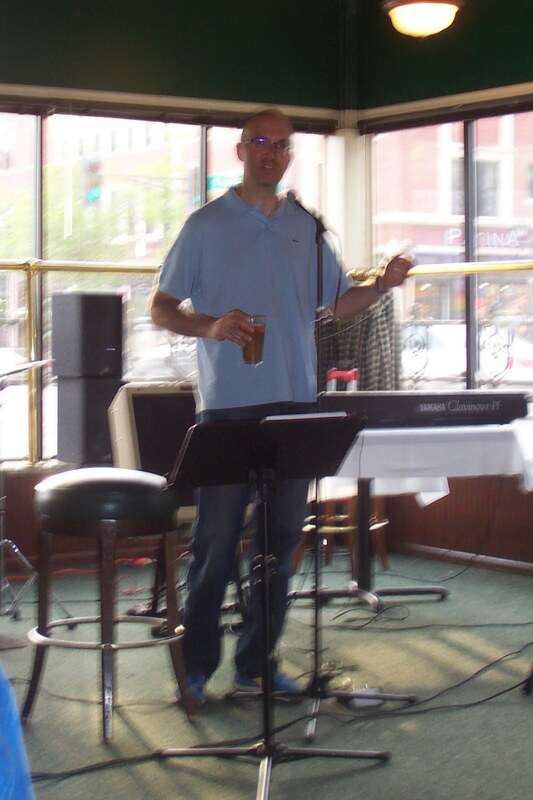 And if all that fun and frivolity weren't enough, I had heard that a former O'Gara's bartender would be making an impromptu appearance at about 9:00. Big deal, you say? Well, several years ago when this guy was tending bar, he had stars in his eyes and was desperate to become a big-time writer himself. Knowing that Mike was best friends with Steve Rushin, the bartender asked Mike to introduce him to Steve so he could pick his brain and maybe get some inroads into the industry. So whatever became of the bartender? Well, for the past thirteen years, best-selling author Vince Flynn has become a titan in the arena of political thrillers! Remember that game "Which one doesn't belong?" 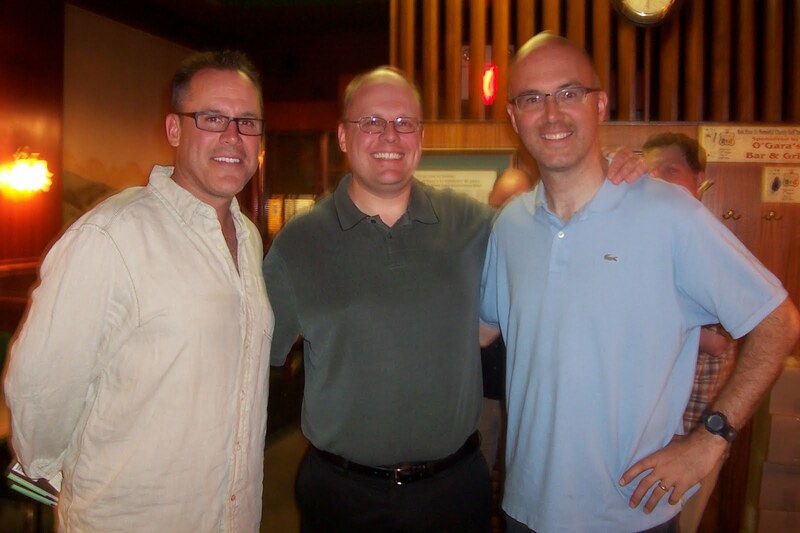 To my left is author Vince Flynn, who has penned six New York Times bestsellers . To my right is Steve Rushin, who was the 2005 National Sportswriter of the Year and was nominated for three National Magazine Awards during his S.I. career. It's an invaluable life experience to be able to talk to people who have accomplished so much in their lives and yet remain humble enough to share the wisdom gained on their respective journeys. And here all I expected going into the evening was to grab a bite to eat, have a few beers, get my book signed and go home! OK, I accomplished all that, too. But I definitely left with more than a full stomach and a slight buzz. Do yourself a favor and come on out to O'Gara's Bar and Grill in St. Paul tonight! I'll be there early to ensure I get a prime spot! Steve Rushin is putting the pub back in publicity tour: The Bloomington native and former Sports Illustrated columnist will sign and read from his new novel, The Pint Man, at O’Gara’s Bar & Grill in St. Paul on May 20th at 7 PM and at O’Donovan’s Irish Pub in Minneapolis on May 21st at 5:30 PM. The Los Angeles Times calls The Pint Man, set in an Irish bar in New York, “wipe-your-eyes funny.” Best-selling novelist Carl Hiaasen says, “The Pint Man is clever, bracing and full of laughs.” With his “exceedingly enjoyable first novel” (Booklist), “Rushin emerges as one of the sharpest wits on the scene” (Publishers Weekly). There will be drink specials both evenings and books will be available for purchase at 20% off the cover price. O’Gara’s will feature live music courtesy of Minneapolis Star Tribune columnist and ESPN 1500 radio host Jim Souhan, who will play with his band after the book signing. Join us for a fun night out as we raise a pint with The Pint Man. In a special election for the U.S. House seat of the late Jack Murtha, Democrat Mark Critz defeated Republican Tim Burns Tuesday evening. PA Congressional District 12 has been in the news quite a bit over the past few years. You see, it was the constituents of PA 12 who were tarnished with the reputation of being racist, a charge once levied by Rep. Murtha no less. But leave it to MSNBC buffoon Chris Matthews to perpetuate that notion. Upon Critz's victory, Matthews insinuated that it was no surprise he won because "with a nice ethnic name like Critz, how do you lose?" No word on whether or not Matthews described voter turnout as "monochromatic." -The Minnesota legislature has finally recessed, but without a stadium bill for the Minnesota Vikings. We appeal to our State’s leaders to join the bi-partisan group of legislators who have stepped up to work on securing the long-term future of the Vikings in Minnesota. This group of leaders has acknowledged that having an NFL team in Minnesota requires a stadium solution. This solution must be finalized in the 2011 Session. While us Vikes rubes are constantly chided with chants of "L.A. Vikings", Los Angeles isn't ready for an NFL franchise for at least three years, maybe longer. Meanwhile, the Vikings' Metrodome lease is up after the 2011 season. Either way, this issue will linger into the administration of Gov. Tom Emmer. -Speaking of L.A., they have a pretty good NBA team, too. And of all the misinformation and idiotic talking points regarding Arizona's new immigration law, SB 1070, Lakers coach Phil Jackson appeared to be a voice of reason. Jackson was asked two weeks ago about a plan by the Phoenix Suns to wear their Los Suns jerseys during a playoff game on May 5, Cinco de Mayo. The immigration law spurred the Suns' decision to use the jerseys to honor Arizona's Latino community. "Am I crazy, or am I the only one that heard when the legislators said that we just took United States immigration law and adapted it to our state?'" Jackson responded. When the reporter suggested that Arizona had usurped federal law, Jackson corrected him. "It's not usurping, they just copied it, is what they said they did, the legislators. Then they give it some teeth to be able to enforce it." Usually it drives me absolutely batty when celebrities opine on political issue, because they're rather sanctimonious in doing so. However, Jackson was asked a question and gave his honest opinion as opposed to seeking out the proverbial soap box to impart his self-anointed wisdom. Yes, it doesn't take a Zen master to understand SB 1070. But in this case, it's not a detriment either. One of my all-time favorite sports writers will be in town this week for a couple of book signings. I purchased a copy of the book recently and have gone through the first couple of chapters. If you're at all familiar with Rushin's writing, his quick wit and ability to turn a phrase with clever wordplay are readily apparent in this his first ever novel. 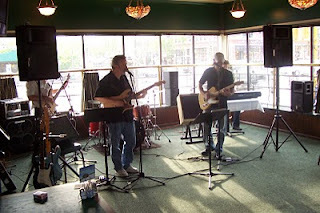 I will be checking out the appearance at O'Gara's this Thursday! While talking to one of my Uncles earlier this week, he let it slip that my Dad was flying in to town from California on Saturday. That would be today. And of course, the old man never told my brother and I he was coming to town. This is nothing new, as he pulled this same stunt two years ago. He was in town an entire month and never contacted me once. Now my regular readers need not fret here. This isn't another one of those posts where I launch into a scathing rebuke of my father. Thankfully I sought professional help for those issues I had, so I'm feeling much better now! No, the point of this post is to take a running bet as to how long he goes without telling us he's even in town. My Aunt & Uncle are having a get-together on Memorial Day weekend (five days after my birthday). The smart money is that is where I will first speak with him. Many have commented that President Barack Obama is in perpetual campaign mode. Despite being elected President more a year-and-a-half ago, he still feels the need to continually go out and convince the American people that his misguided policies are the best thing for this country’s future. But I believe there is an ulterior motive to his “road trips.” Given his wife’s initiative in fighting childhood obesity, the President rarely gets to indulge in the American pastime of high fat, greasy meals. As a result, you can bet the First Lady demands nothing but the most nutritious meals in the White House. Hey, Obama may be the leader of the free world but not even he can escape the clutches of his nagging wife. Hence the road trips, where the President can partake in such foods as cheeseburgers, pie and spicy wings. I wonder if he’s still sneaking the heaters, too. 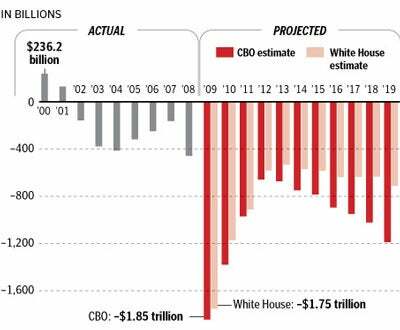 President Barack Obama hasn’t exactly made the most politically savvy decisions over the past….uh……how long has he been in office? Anyhow, he’s now inserted himself into a situation which can potentially alienate the electorate in a key swing state. Include President Obama as another Chicago Bulls fan rooting for LeBron James to move to Chicago. "He doesn't want to tamper," senior adviser to the president -- and former Bulls season-ticket holder -- David Axelrod said. "But as a Chicago fan, the president thinks LeBron would look great in a Bulls uniform." James, whose Cleveland Cavaliers were eliminated from the playoffs Thursday by the Boston Celtics, becomes a free agent on July 1. Many believe he could be headed to the Bulls. The president, a former U.S. senator from Illinois and state senator from Chicago, never has shied away from his sporting roots. He frequently wears his Chicago White Sox cap; has attended a Washington Wizards victory over the Bulls last season, and also hosted the Bulls on a tour of the White House. You may recall that the state of Ohio literally decided the 2004 Presidential election when George W. Bush won said state 51% to 49%. The Buckeye state then swung Democrat in 2008, where Obama won it by 5 percentage points. So with LeBron being a native son of Ohio and having played for the hometown Cavs for his entire seven-year NBA career, it seems rather foolish for the President to advocate for the departure of Ohio’s prized possession. It seems to me that Ohio will likely be a hotly contested battleground state again in 2012. OK, I guess I’m being a little tongue-in cheek here by suggesting this will have a major impact on a national election. But it's not a huge stretch either. Do you recall the backlash against Massachusetts Senatorial candidate Martha Coakley when she referred to legendary Red Sox pitcher Curt Schilling as a “Yankees fan?” Don’t think it didn’t play at least a small part in a Republican (Scott Brown) winning a US Senate seat in Massachusetts for the first time in over thirty years. Sure, some of you scoff at the notion that voters could be so shallow as to vote for a political candidate based on vapid and superficial reasons. But let's not forget that Obama received more than a fair share of votes on the basis of his looking good on television and being a great orator. You know the folks at MSNBC have crapped the bed when Rev. Jesse Jackson appears to be a voice of reason. Oh, and a closed circuit to Keith Olbermann: The next time you have a thought? Let it go. 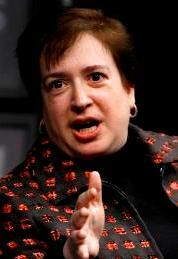 Elena Kagan (left) is President Obama's nominee to replace retiring Supreme Court Justice John Paul Stevens. 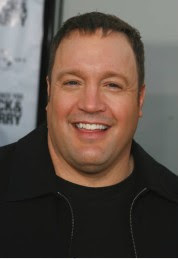 Kevin James is best known for his role as New York truck driver Doug Heffernan on the CBS sitcom The King of Queens. Also, be sure to check out Fraters Libertas and their numerous submissions. Radio host Tommy Mischke, who was unceremoniously dumped by AM 1500 KSTP nearly a year-and-a-half ago, makes his debut this evening on AM 830 WCCO. If there is a wing in the Museum of Broadcasting which features single greatest media interviews, Mischke's sit down with an expert on the wreck of the SS Edmund Fitzgerald needs to be recognized post haste. The entire interview consisted of Mischke actually singing questions to the tune of Gordon Lightfoot's famous song about the Fitzgerald shipwreck. In his days at the old "Talk Station" I was a casual fan of Mischke, so I figured I'd tune in to his initial program on the Good Neighbor tonight at 10 pm. But once I read this "tweet" from a certain bubble-headed, droning media hack, I will definitely tune out promptly at 11:00 pm. Radio is a sound salvation, Radio is cleaning up the nation. Be sure to tune in today to the Northern Alliance Radio Network on AM 1280 The Patriot. From 11:00 until 1:00, my friend and colleague Kevin Ecker and myself will be filling in for regular hosts Brian Ward and John Hinderaker. Amongst the myriad of topics on the docket is the Arizona Immigration bill. Kevin is perhaps the Twin Cities most prolific advocate for immigration reform, so I know he'll provide valued insights on said legislation. We'll also cover the local political angle, including Minnesota's budget issues, threat of a local government shutdown, the MN Supreme Court usurping Governor Pawlenty's executive privilege of unallotment, etc. And given our status as a Vikings rubes, discussion of the stadium issue may also rear its ugly head. In the Noon hour, we will be joined by local NBA expert Mike McCollow. However, we will not be breaking down the Timberwolves roster for the 2010-11 season for fear of a revolt from the regular NARN listeners. No, Mike will be in to promote the recently released novel of his long-time friend (and former Sports Illustrated columnist) Steve Rushin. 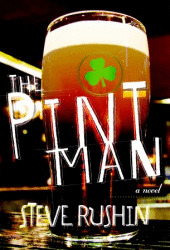 Steve will be in town May 20th & 21st signing copies of his newly released book The Pint Man. Mike will also be in to discuss his own involvement with The Patriot golf club out of Tulsa, OK., and what they're doing to support family members of our veterans who were wounded or killed in combat. We'll also provide the weekly First Team staples "Loon of the Week" and "This Week in Gatekeeping." So be sure to tune in via AM 1280 on your radio dial or stream it on the web (audio link). And if any of these topics interest you at all, we have 20th century technolgy called a telephone! Studio line is (651) 289-4488. Full disclosure: I did not vote for Barack Obama to be our President. I could go into a myriad of reasons why I eschewed voting for Obama and held my nose in voting for chose John McCain in November 2008. And if you really want to know, look at any of my political posts from '08. No, my issue here is the President has decided to partake in the same inflammatory rhetoric used by some of his Democrat colleagues and many supporters (emphasis mine). Three days after he decried the lack of civility in American politics, President Obama is quoted in a new book about his presidency referring to the Tea Party movement using a derogatory term with sexual connotations. Tea Party activists loathe the term “tea baggers,” which has emerged in liberal media outlets and elsewhere as a method of mocking the activists and their concerns. It amazes me that the same man who campaigned on changing the divisive culture in Washington used a term that is meant to degrade a group of concerned citizens exercising their first amendment rights. President Bush was vilified by his detractors in some of the most vile and repugnant demonstrations this country has ever witnessed. Despite that, he went about the business of Commander in Chief with the courage of his convictions. Meanwhile, President Obama has given the impression that he's nothing more than a condescending, thin-skinned ideologue with an obvious loathing towards anyone who dare question his agenda. Remember this come November, Mr. President. I was honored and privileged to be part of the festive atmosphere at the MN GOP State Convention this past weekend. 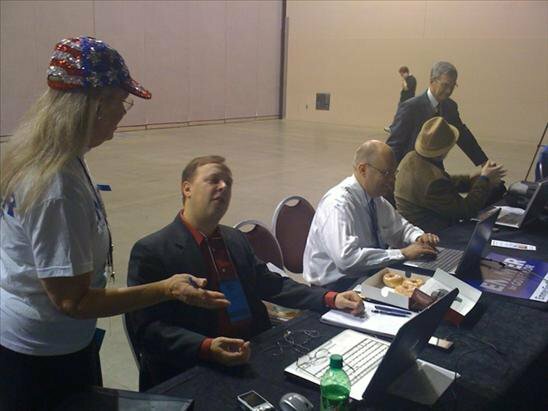 As a first-time delegate, I was heavily engaged in all of the proceedings. The convention began Thursday evening with the usual business of platform and credential reports as well as rules adoption. But then the fun began. After unanimous endorsements of candidates Dan Severson (Secretary of State) and Chris Barden (Attorney General), the State Auditor endorsement was expected to be a spirited battle. While so-called "establishment candidate" Pat Anderson was expected to prevail, Long Lake mayor Randy Gilbert left a lasting impression with his campaign the prior few months and then delivered a fantastic speech Thursday before the delegates. As a result, Gilbert garnered 32% of the vote on the first ballot. Jeff Wiita, who continually emphasized that he was the only candidate with CPA credentials, also put forth a respectable showing with 18%. Wiita withdrew his name from consideration after the second ballot but refused to endorse either of the remaining two candidates. Tom Conlon, a fourth candidate, withdrew his name from consideration during his initial remarks and thus threw his support behind Anderson. At approximately 1:30 a.m., just before third ballot results would be announced, Gilbert withdrew from consideration and Anderson was endorsed as the GOP candidate for State Auditor. After getting about three hours rest, I arrived back at the Minneapolis Convention Center at 8:40 am Friday in anticipation of a 9:00 start. On this day, I decided to take a seat in blogger row amongst the likes of Kevin Ecker, Eric Black, Craig Westover, Mitch Berg, Leo Pusateri and Chad "The Elder" Doughty. To me, that was one of my favorite parts of the convention! We thoroughly enjoyed documenting the event live (via our blogs, Facebook and Twitter) as well as entertaining ourselves with the "Tweets" of other convention goers. But the reason many delegates showed up was for the endorsement of a gubernatorial candidate. While five candidates would be on the initial ballot, it was pretty clear it would come down to MN state legislators Tom Emmer and Marty Seifert. The salient issue over the past several months is that there was little distinction between the two on a legislative basis (both solid pro-life and fiscal conservatives). While many argued that Emmer (my personal choice for Governor) had the broader conservative vision, others ascertained that Seifert was more electable, a trait of vast importance in outstate Minnesota where they tend to lean Democrat. But within the past few weeks the Seifert camp really stepped up its efforts to gain an advantage in vying for GOP endorsement. Most controversial was a letter sent by Sandra Berg, a delegate out of Chisago County. Said letter drudged up two DWI arrests of Emmer occurring twenty and thirty years ago. The letter also inferred that those arrests may have been the catalyst for Emmer supporting legislation weakening drunk driving laws. 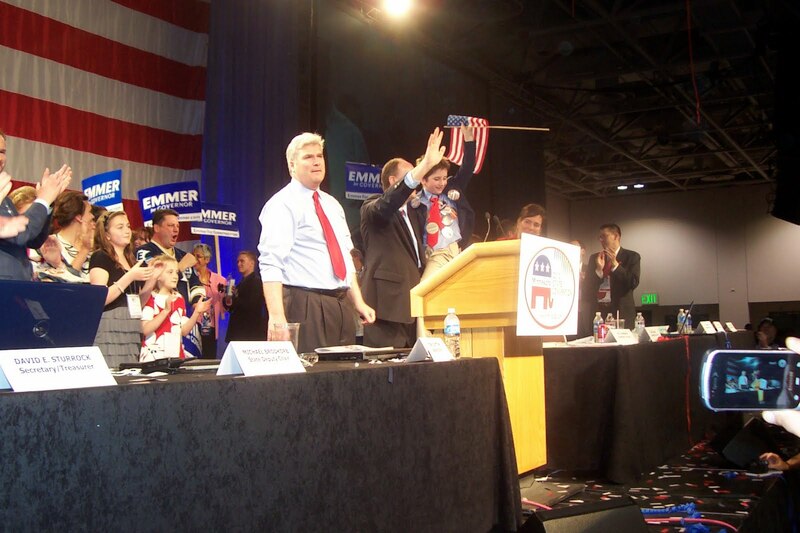 There were also some rather inane (if not humorous) attempts at lowering Emmer's status as a conservative. It was learned early Friday (the day of the gubernatorial endorsement) that former Senator Norm Coleman endorsed Emmer's candidacy for Governor. As a result, some Seifert supporters emphasized Coleman's record of anti-ANWR drilling and corporate bailouts and thus tried to project those issues onto Emmer. Only in Minnesota could it be implied that a legislator from Delano is a "big city establishment" candidate. Naturally, these same people failed to mention that Sarah Palin also endorsed Emmer. Given their respective political stances, Coleman and Palin can hardly be considered interchangeable. When the first ballots were being passed out, I rushed back to my BPOU section, put on my delegate hat and cast my vote for Emmer. While awaiting results I rushed back to the "press pit". While there, my co-bloggers and I discussed what the results may look like. Ecker mentioned that if campaign sign volume amongst supporters was any indication, Emmer would be up 55-45. Sure enough, the first ballot had Emmmer at 53%, Seifert 43% and the remaining three candidates compiling the rest. Since Phil Herwig, Bill Haas and Leslie Davis each failed to garner the minimum 5% on ballot one, they were no longer eligible for endorsement. Both Haas and Herwig subsequently endorsed Seifert while giving their exiting remarks. Davis mumbled something incoherently but ultimately did not throw his weight behind anyone. The second ballot figured to be closer given the lower tier candidates urged their supporters to back Seifert. However, Emmer's vote total increased by 56 votes while Seifert had a gain of only 17. But since Emmer was still 81 votes shy of the required 60%, a third ballot would commence. However, Seifert asked to address the convention as ballots were being passed around. It was then that Seifert graciously conceded and enthusiastically asked his supporters to back Tom Emmer as our next Governor of Minnesota! Seifert also announced that he will retire from the MN legislature and go back to his family in Marshall. But don't look for this to be the end of Marty Seifert in politics altogether. The prevailing wisdom is in two years Seifert may challenge 20-year Congressman Collin Peterson in CD7, provided 2010 GOP candidate Lee Byberg does not win this November. So now, possibly the most conservative Minnesota gubernatorial candidate in my lifetime has the daunting task of winning a statewide election. However, he may have an advantage in that the DFL is still squabbling over whom their candidate will be. Even though Margaret Anderson Kelliher received the endorsement last week, candidates Mark Dayton and Matt Entenza are dipping into their personal fortunes in an attempt to win the August 10 primary. That means the GOP will have a three month head start in campaigning now that their candidate has been selected.